This blog post contains affiliate links. I appreciate you purchasing items from this post! Thank you in advance. The kids are blessed with a Granny who sends them boxes of fun random items at random times. 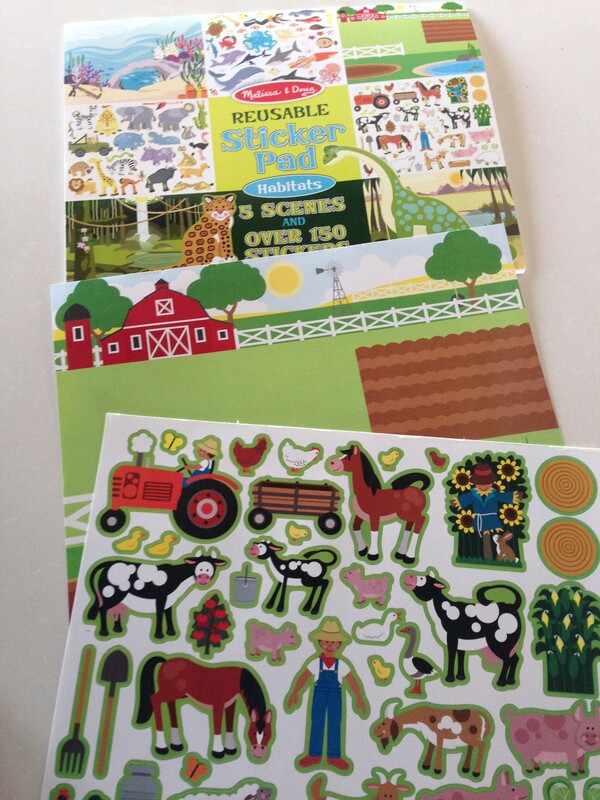 And at one point, in one of Becca’s boxes came one of Melissa and Doug’s most creative (in my opinion) products that inspires creativity in kids… it’s the Reusable Sticker pad. You can get your own here on Amazon (affiliate link). The one I’ve linked is the one Becca has – the habitats one, shown below, but there are others available as well. 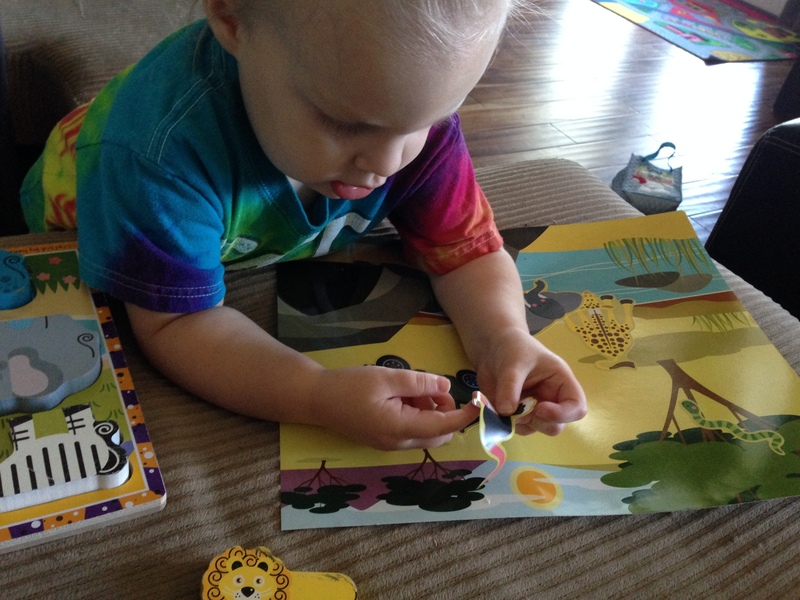 UPDATE: Have a child who really loves safari/zoo animals? 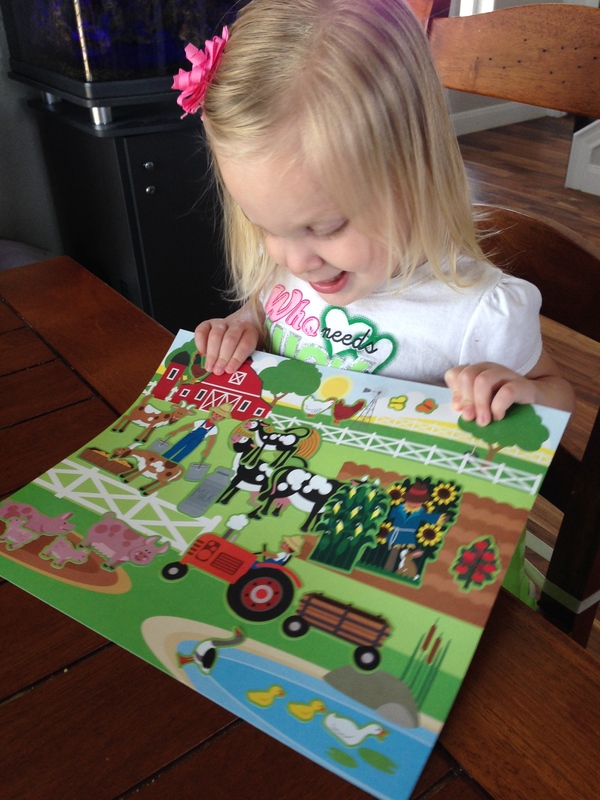 Check out the fun project we did today, using this reusable sticker pad and her chunky puzzle! 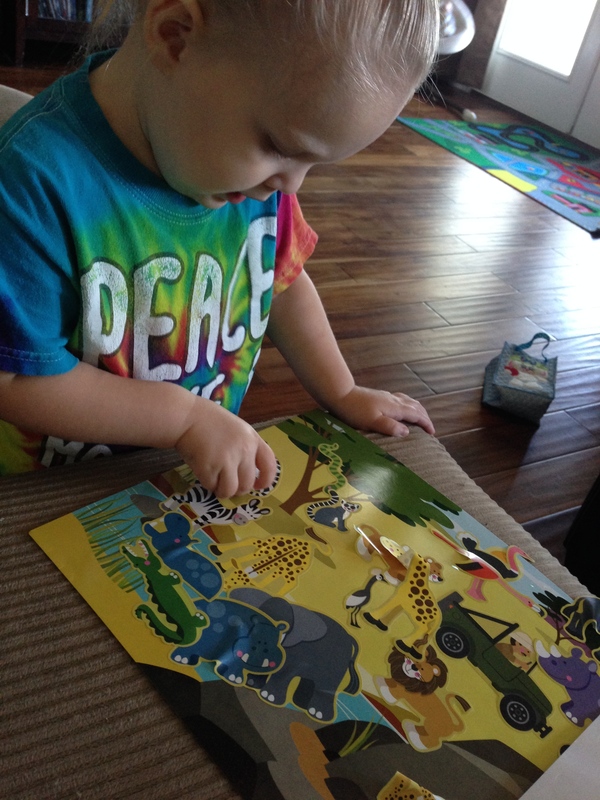 (Get your puzzle here) She started playing with her puzzle, so I went and got the stickers, and she would find the sticker that matched the puzzle piece, make the animal noise, and then place it on! She had so much fun! I also want to get her these Toob animals so that we can further extend our safari play!